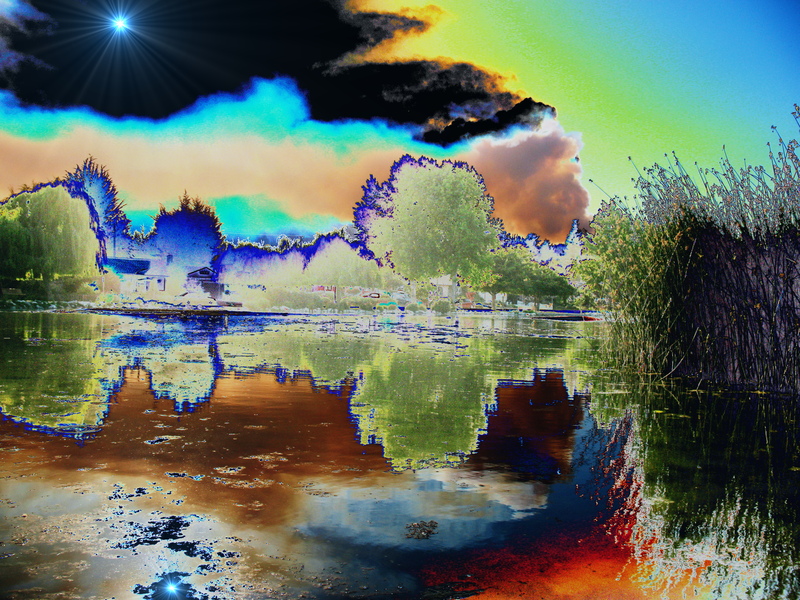 This photo was taken at Westlake Pond on the upper westside of Santa Cruz, California during the Bonny Doon fire on 11-Jun-2008. I then digitally modified the photograph using the Gimp open source image manipulation tools. This is one in a series of digitally modified photographs I have taken and modified in an effort to impart a psychedelic perspective.